Lawyers often walk out of mediations with a signed agreement that provides that a later, more detailed agreement is to be entered into. This type of provision could pose a problem for the litigants if either party attempts to repudiate the settlement agreement. They do so by claiming that the agreement is not binding as it was not an agreement to all the terms, as it was an “agreement to agree:” as it contemplated a more detailed settlement agreement to be prepared after the mediation was over. One way to avoid issue completely, is for all parties to come to the mediation with a rough draft settlement agreement that can be provided to the other party early on during the mediation. The proposed settlement agreement can include all the standard language, such as the CC 1542 waiver and other items that will not be substantial stumbling blocks to the process. 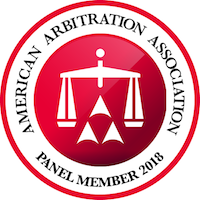 If the parties can agree on the typical “boiler plate” language, the parties can thereafter address the more complex matters that can be included into the rough draft settlement agreement that was brought to the mediation. Another way to avoid a possible challenge to the ultimate settlement reached in mediation is to make sure the settlement agreement signed during the mediation provides for all of the terms necessary, with nothing left to uncertainty. In this way, the settlement agreement that would be enforced is the agreement arrived at during the mediation, rather than the “more formal settlement agreement” that is to follow. Sometimes putting the agreement to paper is the hardest part of the mediation process. Taking the extra time is well worth the time and expense, as it affords the parties time to button down all details of the settlement. It may also be helpful to include a provision in the settlement agreement providing that even though a more formal settlement agreement is to follow, the agreement entered into at the is binding and enforceable notwithstanding the fact that a more formal settlement agreement will be following. In addition, each settlement agreement executed at the conclusion of the mediation should have a provision that the parties waive the confidentiality afforded in the mediation process to allow the settlement to be enforceable by motion or otherwise. There is a real tendency to agree on a settlement with a handshake or a quickly crafted settlement agreement. If that is done, the settlement is either non existent (in the case of the handshake) or possibly does not reflect the agreement of the parties (in the case of a quickly crafted settlement agreement). The better method is to spend the extra time and develop an agreement that reflects the parties intention that is enforceable by the courts.